2.1 1%…Typical success rate for start-up raising equity in the funding game. 3.1 Who are the Players? 6.1 Where do you find an Angel Investor? 8 How do you find a VC? 14.3 Alternatives to a Banker? by Matt Arnot based on Paul Grant’s presentation. Mr. Grant learnt how the funding game operates from his Banker to Entrepreneurial experiences, and he has realised that entrepreneurs are wasting a vast amount of time looking for capital, and then getting bad deals. Mr. Grant has helped with HSBC sponsored events, doing many workshops, seminars, and he is business coach. • Giving away as little equity as possible. • Building on expertise and contacts. The eager businessman had a scalable business, which had a lot of potential, but he/she was too impatient. Through his own desperation, he was offered a deal with an investor to give away 51% of the ownership of his business to the investor. In the end the eager businessman said “Yes” at 51%. a) put a cap on the businessman’s salary, b) gained complete control over the finances, c) moved the company’s head office, and d) messed around with the fundamental designs of the business. …Part of the game is about controlling the majority stake in your own company and it takes a long time to get money from investors. £1K – £50K: Your business is an unproven concept, and the service/execution needs to be ironed out. You may have spoken to potential customers, and you have determined that there is a market. For an investor, the risk is very high. £50K – £250K: You have proven that your concept works, and you have a revenue stream or streams. The investment really does cap out at £250K because there is too much risk for investors. The business angel doesn’t want to concentrate their risk. Mature Growth – sources: Ofex, AIM, Full Listing, Mezzanine Finance £250K – £10million – You have a good team, and you are executing well. You have proven the concept works in the UK as a whole. The VCs are interested because the risk is lower, this is possible only because VCs are not interested in risk now-a-days. End Game (The Exit) – Trade sale, MBO,MBI, and in about 2% of cases an AIM listing. for an exit. Get another company to buy you, but if you are in a slow industry they will be less inclined because investors want to make quick exits. 1%…Typical success rate for start-up raising equity in the funding game. Why have so few entrepreneurs succeeded? You to have a business plan etc BUT this lower performance happen because they haven’t played the game well. There is no proven revenues, and haven’t tested their business model sufficiently….1 out of 100 entrepreneurs actually acquire funding of + £250K. These are the Paul Grant, and VC/Angel Groups findings. The 1% figure is optimistic. 1) An entrepreneur has a great idea! spend £50,000 on business plans, and only get £5,000 back in investment. Everyone thinks it is all about the plan, but continually fine tuning this blue print for the business actually detracts from reaching your funding goal. 3) In Search of Capital: while people aren’t even keen he/she flies to Silicon Valley where they meet VCs who are disingenuous, and rarely say “no, thanks” for fear of passing up the next Zuckerberg. There is no margin for saying “no.” For the VCs, there is no reason to turn someone away completely, but instead they will spur on an entrepreneur and give the entrepreneur false hope about the possibilities of successful deal being made after further research. Plans are refined, and entrepreneurs then go back with a better business plan, and a bigger team, but it is a waste of time, and have to get salaried jobs. 4) Entrepreneur quits after a year of searching: they might have good team etc and they blame the business plan, or the company who wrote up the business plan for them, perhaps some interest occurs but disappears before any contract or commitment to investment occurs. BUT they are not going about it the right way. 2) Researches market & creates cash-flow: The entrepreneur takes a week or two to produce a 2 or 3 page plan with a cash-flow and P&L forecast. It looks viable. So he/she asks potential customers whether they would buy this product/service? The entrepreneur conducts market research. The entrepreneur goes to potential customers, and even competitors to make contacts and gain feedback. “Can you help me on this project I need to find cash-flow” It could be tiny, but they start getting cashflow through testing the idea, up-front payments, or other methods. 4) Secures funding with a favourable valuation: the entrepreneur has proven that he/she has a viable concept that is working, and that they have reduced the risk substantially by generating revenue. Their funding is increased with this kind of revenue generation, so they offer a simplistic forecast. “Did you read the full plan?” The answer is frequently, “No, not really.” Not even small VCs have a good response rate when asked, the vast majority of people will not read your entire Business Plan, so do not make this mistake. They will only notice the tools you have, the actions you have done and the revenue being generated. At the seed stage: Incubators nurture very young companies. They are solely looking for seed stage people ie. those who are vulnerable without any cash, and who need an environment to help them grow. These organisations are set up to give a little bit of money, usually between £10K to £20K to get a business started. They will provide expert advice around that business, including mentoring, office space. There is a lot of access to funding, but these incubators are very technology biased. Seedcamp (competition based) http://ycombinator.com/ You pay a fee, and it is competition based. You apply to be part of an open pitching competition. If you win, then you get the support, and the money for winning. The problem is that entrepreneurs might not be so good at pitching. White Bear Yard: they take on someone, read up on it…. Innovation Warehouse: It is part funded by the Corporation of London, they have a small fund attached, and large spaces available to you, also supply a mentoring system, and access to funding. For initial inquires about IW, ask Mr. Grant. Open Fund: it’s another pitching type event. Springboard: universities are a good place to start from. www.microfunding.com These different options require that you pitch effectively amongst large groups. structured deal where the propositions do not stack up. People are very unrealistic about raising £900,000, for example. Or people are very unrealistic about time scales for investment, i.e. 1 or 2 months. They prepare things on a piece of paper but you really need to make money, until you have that you don’t have a lot. It’s a competitive environment, where only 10 out of 100 will actually get read. It is very difficult to get any attention from Angel Investors. Angel Investors want to be within an hour’s drive: You will want to be in close proximity to your angel investor, do not go out of London, or southeast etc. International angel investing is unnecessary. Angel Investors investment £50K – £200K: Investment size has deceased over the years. The deal size was much larger a few years ago at about £100K, now it has slipped under £70K on average. It is now not uncommon to get £20,000 or £30,000 instead. This decline has occurred because of the decline in ‘crazy money’ where Angel Investor wealth has declined in the personal accounts. The other reason is it is much easier to start a business on less money in 2011. Running some businesses can cost next to nothing in some cases, so the business environment has changed. Angel Investors nearly always invests in areas of expertise: It is not easy to make money as an angel investor, and there is a strong incentive to have expertise in a particular area. If they know software, they will stick with that industry, or venture into other areas at their own risk. Angels get burned badly in some cases, they retreat to solid knowledge areas. Angel Investors tend to experienced entrepreneurs: so don’t pull the wool over their eyes. It is very important to be fairly honest with entrepreneurs. They are looking for deals with a potential to attract VCs. the ones that have a chance of getting them to an exit, there is no point of doubling their money because that will not work. ROI from 40% p.a. with Angel Investors. You must plan for an exit for yourself. The Angel Investor needs to have an exit or they will not be interested in the deal. Talk about the exit in your pitch. Angel Investors prefer deals from referrals: You should not just send an email, you need to interact with an Angel Investor. Networking will be essential for success. You need to create a referral network. It saves you a lot of time. They only look at it from a scalable view-of-point, the business has to have scale and growth. For an angel investor, scalability is very crucial. • Active – £250K ex-entrepreneur seeking a job with no EXIT! 3. Get bankers money to support angel investment. Where do you find an Angel Investor? Business Angel Networks (BANs): they screen the entrepreneurs, only put forward 5 every month with 5% success fee, and an upfront payment of £5,000 average. These agencies transform the business plan to make it stand up in front of the investors. They help channel, and drill down the business plan, etc. You need to get your business plan as public as possible. They entail Business Plan analysis, and transforming that content into investors. Accountants: are gatekeepers who can help connect you with Angel Investors. Lawyers: an investment lawyer doesn’t get a success fee, but they know lots of Angels. They are very low risk themselves, and so the deal must be excellent to move forward. Other entrepreneurs & pitching groups of entrepreneurs: “What do you think of your deal, he’s doing well. Can you introduce me to your Angels?” Need to assess how much experience they actually have, etc. are good ones. Try the following pitching groups: Great Eastern Forum, Thames Valley Network, or Oxford Investment Network. be acceptable but on the whole do not participate in Internet Matching Sites. In some arrangements, the entrepreneur pays a monthly fee for how many hours the business plan is exposed. This route doesn’t make that entrepreneur look professional. You can strip out the sensitive bits, but everyone can see everything for free, and there are better ways. Small networking organisations: finding groups, become a member of OpenCoffee which is weekly meet-up, do get out there an mingle. Talking to people is the secret 50% of the time. You need to network, and talk to people. Beware of groups that accept you, and then ask for an upfront payment. Disclosing the Business Plan to as many valuable people as possible is acceptable because it will enhance the likelihood of finding a viable investor. You cannot be secretive. The pitch is about creating a teaser, not providing the chemical formula of your product. • 1bn market size: real scale as a target for 1 billion pounds. funding, and they want to make a 20% return. Need to do an exit in 5 years. • 100m + exit valuation: they are looking for a major exit. • Other people’s cash, expect to have 0.5%, and you need to know someone from Cambridge or Oxford. How do you find a VC? • Make sure your business is high-growth and profitable. • Find people who can introduce your deal. You would want to meet as many VCs as possible to leverage influence even if they have a term sheet. Meet with at least six different VCs in order to play various VCs off of each-other. • Get a good lawyer. • Deal size of £250k – £1m: they are not a soft option but it is do-able. Five or six years into their fund, they need to turn quickly to make an investment. They don’t need a business plan, and they have £50million fund. You must apply online and they have a weekly meeting looking at the possible firms. You do not need a referral. information LTF needs for prompt decision-making. knowledge to reduce risk. Investments are made in young emerging companies, most of which are not listed on the London Stock Exchange at the time of investment. Investments are a mix of technology and more traditional businesses and range from start-up companies to businesses in pre-listing situations. Typically ten investments will be made each year out of several hundred-business plans received. from two sources: a value adding syndicate of experienced businessmen and a managed fund that co-invests with them. Endeavour Ventures is a venture capital firm focused on providing sophisticated and high net worth clients an unrivalled selection of unquoted investments. Endeavour Ventures introduces unquoted investments of between £200,000 and £2,000,000 in growth companies with real prospects and selected other investment opportunities, such as property, to investors. They then provide an on-going service to keep investors up to date with their investments. Bridges Community Ventures are all about social VCs starting in a deprived area. Bridges Ventures is a privately-owned venture capital company with a social mission. All the funds raised aims to achieve a social purpose as well as financial returns to investors. sales and does not provide seed capital or start up finance. culture that helps innovation to flourish. Invest directly in high-growth start-ups with innovative technologies looking for £250K and over. Suited for creative industries: “Marillion” in 2007 got fans to fund a £40,000K music Tour from the general public. b) High Net Worth Individuals: people who can afford to invest. You used to have to have them sign a document. You can now ‘self-certify’ which basically says that you asked for funding. You couldn’t stand up in a room, and ask for money but crowd sourcing is circumventing this somewhat. business plan up on their website, BUT you need to push people to get them on the page, ie. you need to market, and cuts out the middle-man, if you get a good deal then you stand a chance of getting funding. It is illegal to crowd source but not entirely with a certain kind of crowd sourcing. This group have funded a lot of deals, it’s more creative industries, and they have a show or documentary. Then they give it a certain time frame, and if they don’t reach the tipping point then everyone gets they investment returned. There are some crazy deals, which are not mainstream deals that get a lot of funding so it can be done. General public gives money for a loan, rather than an actual investment in this case. Real business angels require due diligence for a loan, but with family, and friends there is less documentation, and it counts as your own money. Beware of Uncle Bob giving you £20K that they thought was equity rather than an interest free loan. After 5 years in business the person in the background is holding up new arrangements because they claim to have made a loan with the goal of equity, not an interest free loan. Get your payment in writing if it is loan interest free loan or other arrangement. This will prevent you from undue legal strain subsequently. • F&F can be patient – not always though! It is very difficult to get a business loan. In fact, you may get thrown out the door, and have to come crawling back through the window. Banks will never give you money without a collator, which means you will have to put your assets on the line. How do you find a Banker? HSBC used to do loans but in the last 10 years, they stopped doing it because, there are so many debts that could go bad, and they are trying to keep the existing debts a float in order to ensure the existing businesses are still working. The fact is that bankers are not focusing on startups as the risk is too high. Maintaining existing businesses is what has been the preoccupation. The government paperwork is too extreme. It is very difficult to get a banker to come speak at entrepreneur events lately because only 1 out of 20 will get any support. Aim for the SLGS (enterprise Finance Guarantee) One option that is available is the Small Firms Loan Guarantee scheme. (http://www.companypartners.com/content/resource/sflg) Government covering these enterprises with the Enterprise Finance Scheme. Think Cashflow: and your credibility determine whether they will support you. Find a banker you “click with”: You want to have the decision-maker in front of you, and it has to be under the £25K barrier because that is the signing limit. Overdrafts are better than loans: try to get overdrafts, which are better than loans. You need to consider getting at £5,000 overdraft, and this is very flexible. Cheaper than equity capital: bankers are only interested in the cash flow. Brokers funds it. These are convertible loans. You cash in your invoices, you bidding for your invoices. They also do a lot of great deals, they are doing of good work. www.fundingcircle.com They are trying to replace banks, you ask for a loan for £100K, and they look at it like a bank loan. They have John Milton on the board, if you pass the screening, then they’ll put it on their website. When they put a deal up it gets funded almost immediately. There is a very small default rate. • One year operation £10m loans raised. • Apply for a listing – 15mins. • Typical interest rate 8.5% + 3% fee. • Downside is that you need 2 year trading for this option! Business with a turnover of £60K has been done. The less risk involved, the better interest you’ll get. • www.firstfunding.org Brokers funds it. These are convertible loans. • www.marketinvoice.com You cash in your invoices, you bidding for your invoices. They also do a lot of great deals, they are doing of good work. • Can you use a collection of funds from a group of families, because there are business people that will collect £200,000 and each of the business owners can source the funding as their own for at least 5 or 10 startups. each of the grants, and how to make the application, DO NOT DIY. experience, and you should not expend all finances. Personal loans: don’t go there, if you put your house, and everything you have, it is considered very imprudent. Personal credit cards: don’t even think of the Credit cards, and that’s insane. •Moral of the story – successful entrepreneurs often become angel investors. It’s about managing the cashflow: in the approach you should take ages to pay out people because that cash is an interest free loan. Build a business to that is scalable, try to survive, and work this out in one or two years. Need to try to work out to keep that cashflow, you need to keep the cashflow in the game long-enough until you work out an investor situation. You need to survive the first year, often so learn how to manage cashflow. •Larry Ellison from Oracle – Started with £2,000 of his own capital. •Amazon started with less than £5k before raising £200K from family and friends. interest fee loan effectively. You can stretch that to 60-days or 90-days. Bankable companies can afford to pay people later. The problem is that the Vendors will chase you. If you give them enough sales then they will not pull out. If they are a small company they are rarely going to pull out. 2) Rental: People come up to investors and say that they need a £50K chunk of equipment, why buy it when you can rent it or lease it? You need to manage your cashflow until that business is proven, in order to justify that chunk of the business. 4) Half Purchase/Leasing: better approach to full purchase. 5) Overdrafts: try to push the overdraft with your bank to £5,000 then £10,000 etc. 6) Credit Cards: mentioned the credit card, corporate credit card. Then push it, use it a lot and it can be extended. If the worst scenario, unless you have a personal guarantee, you shouldn’t go after that. The key is to launch your business, then get the funding. With the principle of bootstrapping, you don’t have credibility, so you should find someone who does, and do a deal with them. A lot of people think that bootstrapping is for a select person, but if you check the most successful companies, 45 out the top 50 in Times Magazine were bootstrapped companies. £1K – £50K: Again, your business is an unproven concept, and the service/execution needs to be ironed out. You may have spoken to potential customers, and you have determined that there is a market. For an investor, the risk is very high. 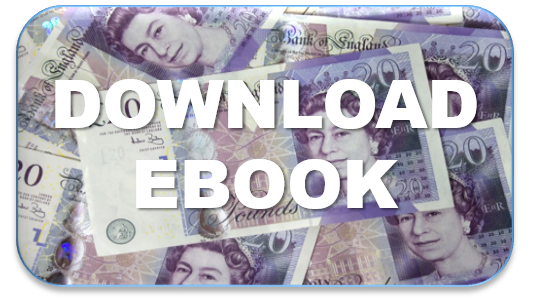 £50K – £250K: Your business is proven, and you have revenue stream(s). The investment really does cap out at 250K because there is too much risk in the game. The business angel doesn’t want to concentrate their risk, so understand their position. You should aim for the quick exit from your own company. isn’t easy, but it is worth investigating in certain industries. 1. What funding level am I playing on? 2. What players do I need to approach? 3. What tools do I need to win the funding game? 4. What are the next steps? 1) USP: deals have to be unique. Only 20% know their USP, you can spend an hour in front of someone and not come to understand their USP, it needs to be really unique, and succinct. You should be able to explain yourself in 60 seconds. 2) Team: obviously need to have a solid team. 3) Proof of Concept: talk to customers, and reduce the risk as much as possible. 4) Executive Summary: it should be a marketing tool, not a summary of the full plan. You need to get yourself a meeting with an angel investor. This has to be a solid, and short executive summary, with a key focus on investor interests. 5) Valuation/Exit: A crazy man thinks his/her business is worth 5million, he is fixated, there is no risk stripped out of that valuation. You should never go over £1million pounds on your valuation. You need to produce sales ASAP. 6) The Pitch: you need to be face to face, and you have to have your executive summary printed in your head. You need to have a clear presentation. The pitch is a verbal calling card/executive summary. It needs to be a verbal element of the Exec Summary with clearly set out parameters and guidelines. a. Intensive one day workshop, ambitious entrepreneurs, step by step approach, building the tools to attract funding, one speaker has been training Angel investors, industry contact and case studies, on getting support, small group – limited places so act quickly. c. 30% discount for past attendees.